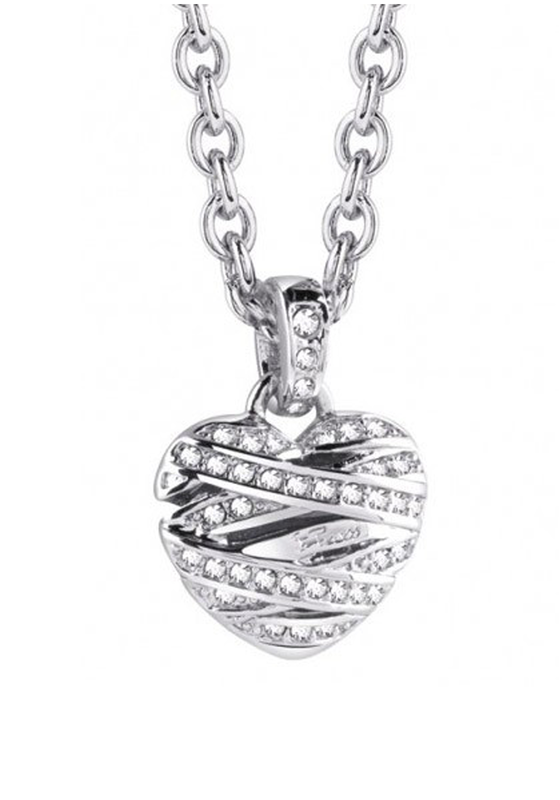 A pretty silver plated necklace from Guess jewellery collection. 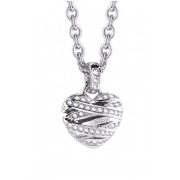 This beautiful necklace comes with a love heart shaped pendant that has a wrapped cubic zirconia stone detailing. A simple chain with an elegant look.